Raiden entered the Metal Gear franchise as a whiny recruit often found at a loss for insight or determined, chiseled chicanery. This was widely criticised at the time of his debut in Metal Gear Solid 2. By the time he returned, things had changed however, and this article looks into what changed. During the game series Metal Gear, Raiden transforms himself from a cipher representative of the player in the game world to a cyborg ninja with the combat chops to rival Vamp or even a prime Solid Snake. Initially criticised from almost all critical or fan quarters, the Raiden character made a welcome paradigm shift for those same dissenters, when MGS4 was finally released. 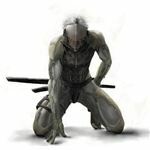 This article focuses on how, in Metal Gear, Raiden as a character would make the transition to this fantastical and empowering veteran by the events of the fourth game in the series. We’ve already discussed the reasons for Raiden’s usage and entry into the series during the events of Metal Gear Solid 2: Sons of Liberty. He was raised by Solidus Snake and groomed by the Patriots to replicate the actions of Solid Snake in their planned S3 program. Ultimately, he was tasked with stopping both Dead Cell and his former father figure Solidus, in a manner deliberately parallel to Solid Snake’s actions in the Shadow Moses incident of the first MGS game. Taking a hiatus after these events, known collectively as the Big Shell incident in the universe of Metal Gear, Raiden would come back to the series in the final entry - Metal Gear Solid 4 on PS3. Early trailers and footage of the new game showcased a wildly different Raiden from what Metal Gear fans had known during the PS2‘s tenure. Sporting a new cyborg ninja aesthetic, he would be seen battling Vamp while also destroying multiple Gekkos with consummate ease, utilising the high frequency blade he acquired during the second Metal Gear. Raiden was fully realised in the game as a veteran warrior who players encounter without being able to play as him - in a similar manner to Snake during MGS2. The same problems present during his debut had not been effaced however, with his persona being even more withdrawn, secluded and forlorn. The rigours of multiple battles and the exoskeletal vessel he now used - of which the upcoming Metal Gear Solid: Rising apparently details - clearly had an impact that players hadn’t seen. This gave Kojima the impetus to create a more empowering character, as if to offset his inner demons, by mimicking the earlier Gray Fox. Where Raiden would question his motives and play the newcomer in MGS2, he had grown into a calculated man with goals far reaching, insofar as the Metal Gear universe and the impact they would have therein. This cold exterior would still show flashes of emotion or nostalgic reminisce, with scenes involving Sunny or conversations with Snake heralding perhaps a better time for Raiden. Metal Gear - Raiden Becomes Snake? Metal Gear Solid 4 characterised Raiden as a fallen hero, losing his way after the Big Shell incident and subsequently losing his blood and parts of his body to the new war against the Patriots. His life fell apart as if in reaction to the real worlds negative critical reception he garnered post release of MGS2. 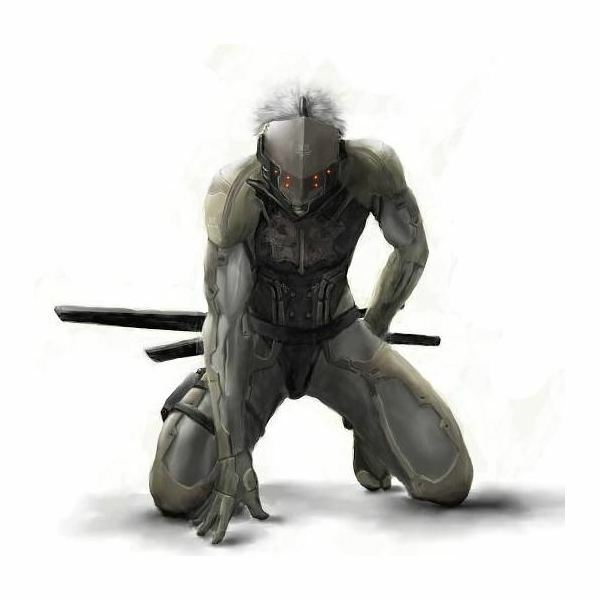 Kojima, recognising the need for a change in his green recruit design, choose to amalgamate certain traits of other characters such as Solid Snake, Solidus or Gray Fox. This gave Raiden a new anchor within the Metal Gear universe and his antics during the fourth installment - with the attached popularity that spawned from his character re-design - have led to the making of his own spin-off. Re-envisioning Raiden into what he is now - the blade wielding, cut enthused maniacal ninja - has given an added importance on both his beginnings and where his future will ultimately lie.